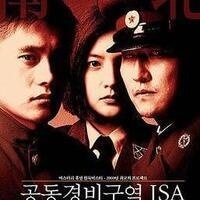 Joint Security Area (Korean: 공동경비구역 JSA) is a 2000 South Korean mystery thriller film based on the novel DMZ by Park Sang-yeon. It was the highest-grossing film in Korean film history at the time. Refreshments available at 4:45 p.m. with the screening starting at 5 p.m. This event is part of Pacific's International Education Week. free and open to Pacific students.